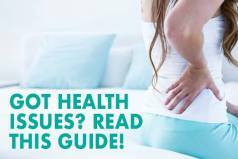 If you often find yourself waking up with pain in your back, this may indicate that it is time for a new mattress. You should start looking for a new mattress as soon as you notice that something is off and don’t wait for too long, because things can only get worse. These days there are many options to choose from, especially if you decide to buy your new mattress online. There you can find a wide range of different mattress types offered by different manufacturers that it may be hard for your to pick the right one that will suit all your specific needs and sleep preferences. In this in-depth guide we’re going to examine all foam mattresses, focusing heavily on memory foam mattresses. We will explain why they are so popular and equip you with all the knowledge you need to choose the best memory foam mattress. 1. What Is a Memory Foam Mattress? 2. What Makes the Best Memory Foam Mattress? The Nectar is an 11″ mattress made up of 4 layers of foam with a Tencel top cover that keeps your sleeping surface breathable, cool, and bug-resistant. The Nectar is aesthetically pleasing and provides the classic memory foam feel, along with great support and contour. It has the softness of a pillow top and a firm supportive foam layer beneath that is excellent for all sleeping positions. What is great about the Nectar is that it has enough bounce and it makes you feel cradled but not necessarily enveloped by the mattress. This increases the overall comfort and luxuriousness that this mattress offers and helps relieve pressure while supporting your body and allowing proper spinal alignment. At $725 ($699 with our $125 MFT125 coupon), the level of quality and comfort are extremely hard to top for a mattress of this quality. The Loom and Leaf is one of our top picks for memory foam models for many reasons. It uses a variety of different foam layers in its construction, as well as a unique cooling gel layer on top and a very high-quality, flame-retardant tufted cover. It is 12″ thick and comes in two firmness options, Loom and Leaf Relaxed Firm and Loom and Leaf Firm, both of which provide exceptional comfort and support in all sleeping positions. Both offer a very balanced feel as they provide a nice degree of body contouring without causing the feeling of being trapped in foam, and both sleep pretty cool due to their medical-grade gel layers that reduce heat retention and eliminate the sticky, sweaty feel typical for most full memory foam mattresses. The Loom and Leaf mattresses are shipped uncompressed so there is literally no smell/off-gassing, and they come in at $1299 for a Queen which is quite a reasonable price given their luxury design and the quality materials used in their construction. The Layla is one of our top picks as it is considered to be one of the most comfortable memory foam mattresses available on today’s market. It is an all foam mattress consisting of 4 different layers with a soft, gel-infused cover that helps with cooling and temperature regulation and adds to the luxurious feel of this mattress. Besides this, the Layla is a double sided mattress which means that you can choose either a firm or soft feel depending on your preferences simply by flipping the mattress over. Tempur Pedic Cloud Luxe Breeze comes from a famous memory foam mattress brand and it is known for its ability to provide a very luxurious and plush feel and now comes with some upgraded features. It is constructed in such way to make you feel like you are floating on a cloud. It causes minimal motion transfer and is perfect for sharing your bed with a partner. 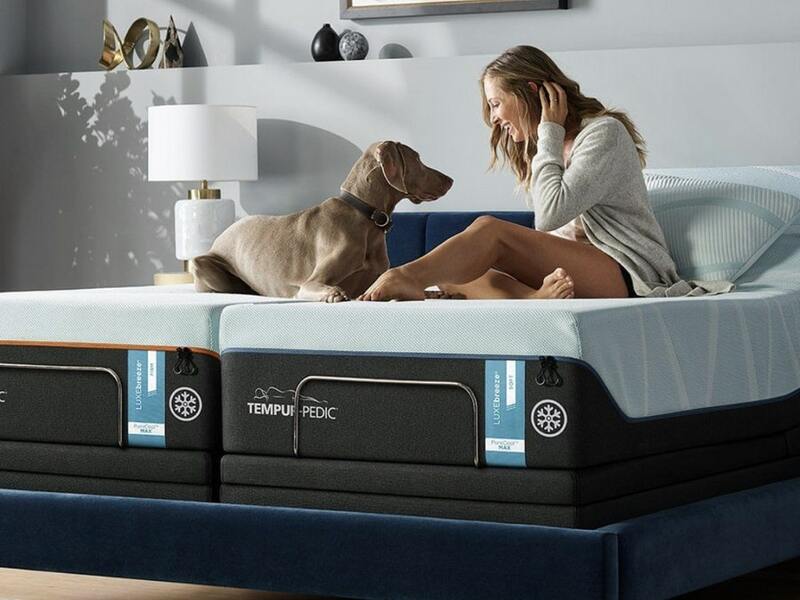 The Tempur-Pedic Cloud Luxe Breeze will provide you with that classic feel of memory foam and the plush support of TEMPUR material which offers enough responsiveness and conforms perfectly to the shape of your body and your movements. The mattress also prevents heat retention and dissipates heat by adapting to your body temperature. All this makes this mattress one of our top picks for the best memory foam mattresses. Click here to read our full Tempur Pedic Cloud Luxe Breeze mattress review. The Novosbed mattress is an 11″ mattress made up of 3 layers of dense foams and a quality polyester, silica, modacrylic, and Tencel cover that has a very nice soft textured pattern to it which gives the mattress a great feel through the covers. It is offered in 3 firmness options and also has a zippered top which does not only give you the possibility to remove it for cleaning but which also enables you to add the Comfort + top kit. Comfort + top kit serves as an additional layer that can either increase or decrease the firmness level of the mattress. This layer combined with the foam layers beneath does a great job at providing both comfort necessary for side sleeping and enough firmness if you switch to your back or stomach. It is ideal for all sleeping positions and for the sleepers of different weights, especially heavier ones. The Novosbed comes in at $1099 for a Queen, but you can SAVE $100 on this mattress with our MFT100 coupon. Click here to read our full Novosbed mattress review. It is a universal comfort model which we rate as around a 6-7 on the firmness scale (10 being firmest), and it provides good support and great comfort for all sleeping styles. It has the firmness needed for sleeping comfortably on your back as well as the softness if you switch to your side. It offers a luxury feel unique to the special Nolah Air Foam and a cool and comfortable sleeping surface necessary for a sound and quality sleep. You can get the Nolah mattress at $749 for a Queen after applying our $100 off coupon MFTALK. Now we will tell you something more about memory foam mattresses, their types and what exactly constitutes a good memory foam mattress. They are too soft and make you feel like quick sand is underneath you. They are too sturdy and don’t contour to your body. We have personally tried out many different types of mattresses and found out the exact solution to these dilemmas – Memory foam mattresses. They feel just right, neither too soft nor sturdy and they support your body perfectly. The best and most unique thing about them is their ability to react to your body temperature and conform to your body’s curves and thus create a cradling effect. Memory foam mattresses are made of polyurethane foam, but with added compounds which make it a more durable material with improved qualities. That’s why they provide necessary pressure relief and support. Even though they became popular on the market only during the 1990s, memory foam has been around since the 1970s. Although they cost a bit more than other types of mattresses, memory foam mattresses are still the most popular and commonly used mattresses due to their proven quality and durability. 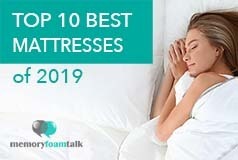 As the memory foam mattress market is flooded with so many different brands and models, it’s nearly impossible to single out one mattress as the “best”. Depending on individual sleep preferences, positions, body type, and budget of every sleeper, a mattress can be ideal for some people and totally uncomfortable for others. There are certain criteria that affect reviews and ratings. These are things that people are more concerned with when choosing a new mattress. Being knowledgeable about them facilitates your purchase and saves you time and possibly money. The first step to buying a memory foam mattress is to learn about the 3 different types of memory foam and what they have to offer. Just like its name suggests, traditional memory foam was the first type of memory foam to take the lead in the market in the mid-90s. Up until now, traditional memory foam ranks highest when it comes to comfort and satisfaction. It’s also the material used for the majority of memory foam pillows. Traditional memory foam has changed very little since its birth. Pressure point relief – Distributes weight evenly across the mattress surface. Individualized contouring – Utilizes petroleum-based polyurethane foam which is especially designed to soften and react when exposed to warmth allowing your body to be cradled during your sleep. Motion isolation – Due to the temperature reactive technology. The most recent of the three types, gel-infused memory foam was created to solve one of the biggest issues of its predecessor – sleeping hot. Gel-infused memory foam is traditional memory foam infused with tiny gel beads or gel in a liquid state which disperses more thoroughly during early stages of manufacturing. Some mattresses have gel pads or pockets of gel on the surface. Pressure point relief + Individualized contouring + Motion isolation – Gel-infused memory foam derives from traditional foam. Initially cool – The gel creates a cool sensation initially and dissipates heat at a faster rate compared to the traditional one. Widely available – It is also one of the most common types of memory foam. The “green” memory foam is not only friendly to the environment but also the human body. It is manufactured with little to no emissions and contains zero toxic VOCs, depending on the process and manufacturer. Plant-based memory foam addresses the issues one faces with traditional and gel-infused memory foam. However it still has its cons. The top layer is often made of innovative materials to keep you cool and provide a perfectly contoured sleeping experience. Normally, this layer can be around 1 to 4 inches thick. The foam base is the thickest layer, and usually is composed of higher density foam which provides support for the mattress. It is usually 6-8″ thick. You can also find memory foam mattresses with 2 layers or more layers as well, depending on the model. Mattress thickness varies from 6 inches up to 14 inches or even thicker. As a rule of thumb, thicker mattresses or mattresses with more layers are more expensive since they often come with extra features for more comfort and ventilation. However, don’t be fooled by the thickness of a mattress as a whole. Instead, take a close look at the number of layers, the thickness of each, the materials, and foam types. Basically, density is an indication of how much memory foam actually weighs. Density is one of the key factors when it comes to how soft or hard the mattress feels and how well it holds up. However, there is no ideal density for everyone as everyone has their own preferences and body type. When looking for the right density for your memory foam mattress, it’s important to understand the levels of densities and how they benefit you during your sleep. Keep in mind that the higher the density is, the longer it is likely to hold up. However, memory foam with higher density also gets warmer during sleep. Since memory foams react to temperature changes, it may feel firmer when it is cold and softer when warmed up. The thing about memory foam mattresses is that they react to body temperature. That means, once you lie down, the foam warms up, gets softer, and conforms to your body shape. Low density memory foam mattresses are the most responsive and less likely to sleep hot. When lying on a low density memory foam mattress, you will initially feel its softness. You can still experience a soft feel with mattresses of higher levels of densities but not immediately. Therefore, if you prefer a mattress with a softer feel or can’t stand the initial stiffness, then a mattress with a low density is the one for you. A mattress with low level of density will break down quicker than higher density mattresses. This is probably the most popular and commonly used type of foam due to an affordable price and a perfect balance of comfort and support. Mattresses in this range are ideal for those who don’t like their mattresses to be too soft or too stiff. They don’t cause a sinking sensation or the initial feeling of stiffness. Also, a mattress with this level of density does not retain too much heat and lasts longer. Mattresses with density from 6lbs are in the specialist area, aka orthopaedic mattresses. These high quality mattresses designed for those who suffer from certain medical conditions. With density this high, a certain amount of initial stiffness is expected. However, the mattress contours to your body quickly while giving you the ultimate support where it is needed most. These mattresses can cost thousands of dollars but they are definitely worth considering, especially if you’re dealing with frequent pain and aches caused by some medical conditions. Firmness is an indication of how quickly the memory foam bounces back in response to pressure, aka indentation force reflection (IDF). Basically, IDF is the needed force for the foam to be compressed by 25%. IDFs anywhere under 18 are softer and utilized in memory foam comfort top layers while IDFs that are over 30 are firmer and utilized in support core layers. It’s important to always keep in mind that density does not reflect the firmness of the mattress. This is because most low density mattresses come with a thin memory foam layer built over the supportive foam base – where the firmness comes from. There is no standard firmness for memory foam mattresses, rather it is subjective. It depends on multiple factors that include IDF, thickness, and density of each layer. However, memory foams’ IFD typically falls in between 10 to 16, and 20 to 45 with the core foams. That should give you an idea of whether a memory mattress is soft or firm. Responsiveness is an indication of how quickly the memory foam returns to its original shape in response to pressure. Traditional memory foams are very sensitive to temperature. This means that they conform and soften when exposed to body warmth, resulting in slower response rates. Gel-infused and plant-based memory foams are designed to be less sensitive to temperature, which leads to faster response rates. Many sleepers consider slow responsiveness a negative trait, due to the sinking sensation and the feeling of being trapped it causes so they opt for mattresses with faster response rates. More responsive mattresses also require less effort when changing sleep positions and getting out of bed. Some people, however, enjoy the softness of slow responsive mattresses and how perfectly they conform to their body. Despite being the most sought-after type of mattresses by consumers, sleeping cool is where memory foam mattresses usually fall short, followed by odor or off-gassing. Overheating is caused by the density and thickness of the memory foam mattress. The result is constricted air circulation between your body and the mattress as well as within it. With that being said, the higher the density and thickness, the more heat the memory foam retains. Heat retention differs with the plant-based, gel-infused (initially cool) and traditional memory foam. – Read 2.1 Types of Memory Foam. Motion isolation is great with all memory foam mattresses due to their slower response compared to other types of mattresses. – Read 2.1 Types of Memory Foam. Another complaint we often receive about memory foam mattresses is odor / off-gassing, except for plant-based memory foam – Read 2.1 Types of Memory Foam. This is because Polyurethane, a synthetic resin, is used as the base for traditional and gel-infused memory foam mattresses and human nose is sensitive to it. Polyfoams contain VOCs, which encompass around 60 gasses and cause lots of health concerns. In most cases, these smells, off-gassing, dissipate within 3 days after opening. If you’re health conscious but still prefer memory foam mattresses, opting for a plant-based memory foam mattress is a win-win for you. A cover completes your mattress so choose the mattress with a cover that complements its other characteristics. A bad mattress cover will can reduce the overall comfort of your memory foam mattress. The cover should not tear, feel firm or irritate your skin. The fabrics should be breathable and able to keep you cool during sleep, such as cotton and rayon. Because the highlight of memory foam mattresses is the ability to soften and conform to body curves, covers that are too thick will undermine that (1 inch at most). Everyone is different; people come in all shapes and sizes and have different sleep preferences. Andrew is a heavier sleeper (230lbs) and he likes the mattress with a softer feel while I’m half of his weight and I prefer a firmer mattress. Both of us are side sleepers, so we need thicker memory foam layers that can cradle our hips and shoulders and prevent the appearance of pressure points. Couples with different sleep preferences, like us, find it hard to compromise when it comes to shopping for a new mattress. Latex foam was commonly used in mattresses, even before polyurethane foam and we might have seen a resurgence of it recently. However, the most commonly used foams in mattresses are memory and polyurethane foams. This is the cheapest, as well as lowest quality foam primarily made up of compounds derived from petrochemicals. Known for having a slower response, memory foam is sometimes called Viscoelastic polyurethane foam / tempurpedic foam. It’s usually denser and more expensive than typical polyurethane foam. Heat retention – Probably the biggest drawback, due to the dense foam. This isn’t as big of an issue with plant-based memory foam. Smells / Off-gassing – Causes health concerns. It dissipates within 0-3 days. Expensive – Memory foam mattresses vary dramatically in prices, higher quality ones can be expensive. Heavy weight – Memory foam mattresses can be quite heavy but since mattresses don’t require to be moved around often, this isn’t much of an issue. There are two types of latex: synthetic (from petrochemicals) and natural (from rubber trees). The difference between latex foam and the previous foams is its fast responsiveness. Comfort – Pain reduction and pain prevention due to being a resilient material. Longevity – Highly durable material. Motion isolation – Due to its energy-absorbing properties, making sleeping a more pleasant experience. Customizability – Some retailers offer customization. Firmness – Especially in the first few weeks, then your body adapts to it. Compression – This is less of an issue with 100% natural latex foam. Heat retention – Especially with closed-cell foams. However, latex foams tend to sleep cooler than memory foams in general.